The Family Arnold has been operating its ship chandlery here in this location since 1884. In such a place of business, the residents of Brake as well as the crew members of the sailing ships laying over in the harbor were able to purchase everything they needed for their personal use, including colonial goods such as cocoa, coffee and tobacco. Above all, however, the assortment encompassed equipment required in the work onboard, such as buckets, cordage and blocks as well as lamps and oil. A good supplier of ships had to be capable of delivering provisions for 100 daily rations per crew member of a large tall ship within a single day. Today, the Hillrich Arnold GmbH is engaged not only in the ship chandlery, but also in trading mineral oil, and it owns a bunker vessel involved in underway operations. Ship suppliers, such as the chandlery which can be seen in the "Haus Borgstede & Becker" of the Maritime Museum, were once prevalent in Brake. 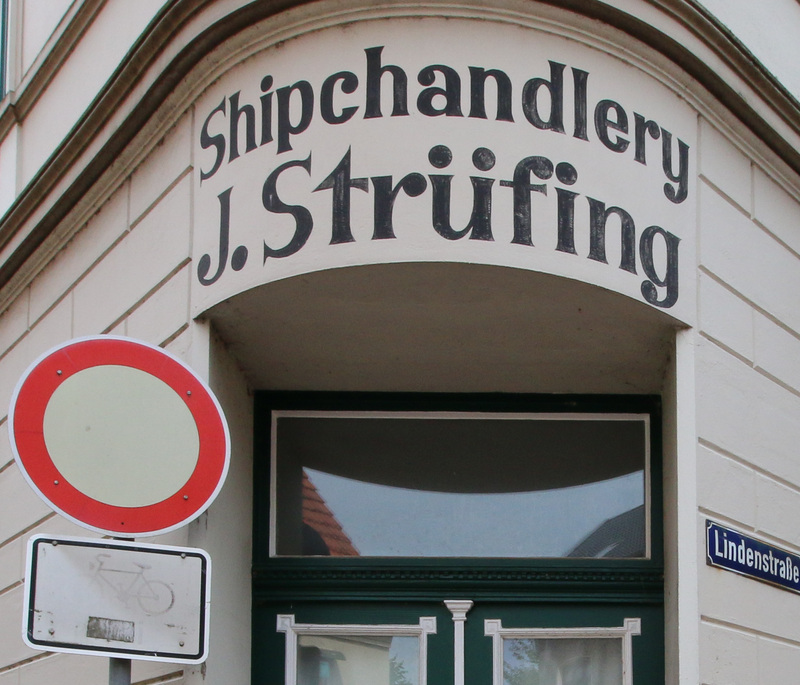 For example, on the corner of the streets Lindenstrasse and Mitteldeichstrasse, where the sign “Shipchandlery“ reminds one of the chandler Strüfing. Indeed, the original sign was in English, bearing witness to the internationality of Brake´s sea harbor in the 19th century. Once upon a time, ship chandlers were all-around talents: They supplied everything which the sailing ships waiting in the harbor required in terms of provisions and equipment. Ranging from buckets to riggings to blocks, lamps and petroleum. Groceries such as sugar, flour, peas and beans, vinegar, oil, sweets and spices could be purchased in those small, but crowded stores. A good ship chandler had to capable of providing a large sailing ship with 100 daily rations per crew member within a day! Moreover, colonial goods such as cocoa, coffee and tobacco were also made available. Even the local residents of Brake frequented such stores. The family business Hillrich Arnold, Lindenstrasse 12, is the last remaining ship chandlery in Brake, the harbor city which was once home to many such stores. The house was originally built as a textile shop in 1878. 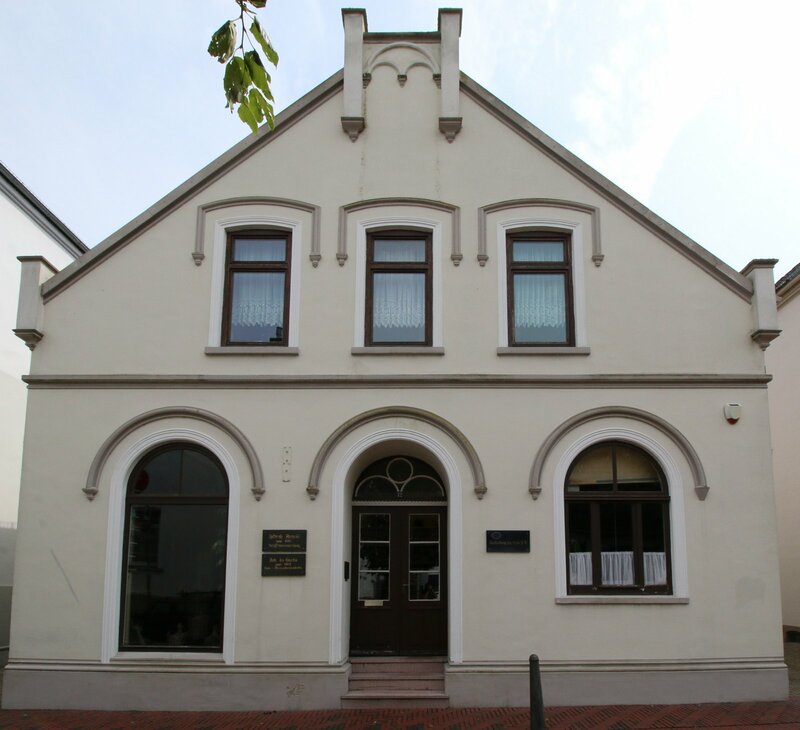 Since 1884, the ship owner and chandler Arjen Hillrich Arnold used the facilities as a residence and as a place of business, and it was the private property of the family for a long time. 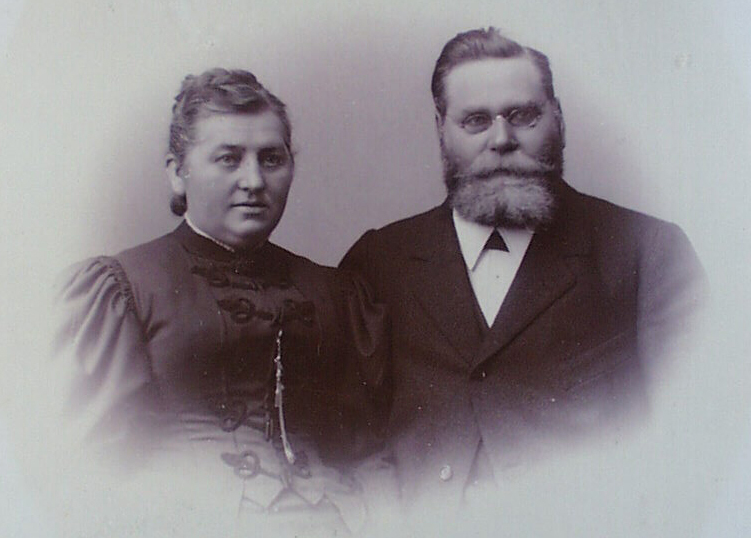 Following Arjen Hillrich Arnold, Hillrich Arnold took over the business in 1892. Today, Hillrich Arnold junior managest he family business in the fourth generation. 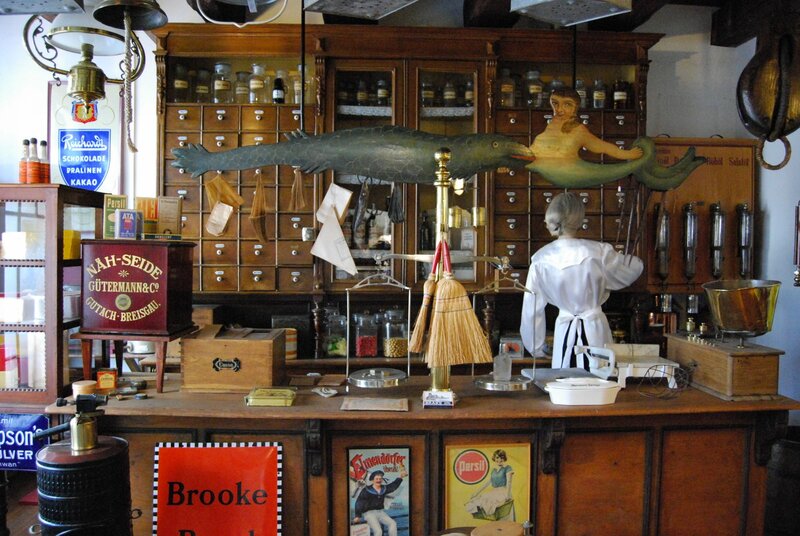 Although the small store only sells the most necessary of items, as compared to bygone days, it is nevertheless worth visiting. Indeed, the shop windows still permit a view of historical articles available inside. The citizens´ house dating back to the “Gründerzeit” (Period of Expansion) has been preserved in its tradition as a gabled house. It has a width of three window axes with a central aisle. The decent, late classical plastered facade displays elements of the round-arch style: Segment and round-arch windows were placed beneath segment or semicircle archivolts (having very decorative or implied doors). Small corner towers are located along the eaves and the arched gables of the roof ridge. Early on, there was a ship’s chandler and colonial wares trader in Borgstede & Becker House. Today, there is reconstruction of ship’s chandler’s shop, offering a glimpse into the abundance of wares of the 19th century.